GILES HOFF (right) is managing director of Savile Row Travel in Henley. He was born in London and moved to Henley when he started the business in 2006. He and his partner Joanna live in Nettlebed with the five children they have between them. Giles is a keen golfer and cinema enthusiast. Obviously, he loves to travel. We are an independent tour operator specialising in long-haul travel, bespoke beach holidays, unique private tours and corporate incentive travel. Because we contract directly with hotels and airlines, we are able to offer great value on top of our first-hand knowledge. We also arrange honeymoons, safaris and round-the-world trips. Closer to home, we offer unique experiential travel in many European cities, while our other brand, Feel Good Holidays, provides family friendly holidays in Italy, Greece and Portugal. Six, including me and two other directors. Brought up in Essex, I left school when I was 18 and worked for eight months before a friend and I set off for an adventure in Africa. We did up an old Land-Rover and drove from Kenya to South Africa and back again over six months before he went home. I stayed on in Kenya and came back at Christmas 1991. A month later I got a job in London with a large travel company. I was there for 14 years but in 2005 the company was sold to another large travel organisation and I realised that my career wasn’t going to progress as quickly as I had hoped. Those of us who decided to leave were paid off generously which provided me with some capital to start a business of my own. When did you start your business and what was your objective? In 2006. I wanted to capitalise on the knowledge I had acquired during my 14 years in the travel business and set up a company to create five-star travel experiences. What or who influenced you? It was really out of necessity because I could see the lack of career progress in the company I’d been working for. Until then I had been reluctant to take chances as I had a family to support and a mortgage to pay and I felt secure in having a regular salary. But suddenly I lost the fear. Pay more attention to marketing. Having said that, we’ve grown organically. Really well. We think that as our reputation grows so does our business. Primarily through face to face. 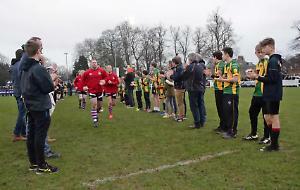 We do event-based marketing by sponsoring events at Henley Rugby Club and similar entities. Much of our business now comes as a result of recommendations. Trying to keep a lid on everything while driving growth. Our model is to continue to market luxury, tailored products and to maintain and build our knowledge pool, while building our portfolio of clients. How important are online sales and why? We don’t sell online but we have an excellent website which is very important for marketing our services. You have to be prepared to take risks — as long as they are calculated risks! You don’t necessarily need to be an entrepreneur or to come up with something new. You can replicate an existing business and just do it better. Don’t be afraid to raise capital for equity and think about how the business might be scalable. Always consider the bigger picture. Underestimating the power of marketing and not using my initial capital quite as wisely as I could have. What three qualities are most important to becoming a success? Customer service, purchasing know-how and watching the pennies. I’m a people person and people buy from us because they like and trust us. Very but at work more than at home. How do you dress for work and is it important? Smart casual most of the time but I’m happy to wear a suit when appropriate. Most days it’s at my desk. Nothing formal but I continue to learn all the time. Thrillers such as Lee Child’s Jack Reacher novels, the Sunday Times and classic car magazines. The most attractive alternative would be to eventually take more of a back seat in the business but hopefully continue to enjoy a good income from it.